You'll be £12.99 closer to your next £10.00 credit when you purchase Tracing Your Great War Ancestors: Ypres. What's this? Do you have an ancestor who served at Ypres in the First World War, during the four years in which the city was in the front line? Perhaps you have thought of visiting the battlefields nearby and the monuments that commemorate them, and want to find out exactly where your ancestor served and what part he played in the four great battles that took place there? So many British soldiers served in Flanders during the long struggle to defend the Ypres Salient and to break out of it that there is a good chance that your ancestor was there at some stage of the war. This practical and informative handbook is an ideal guide to the struggle for the city and the stories of the men who took part in it. It is also a fascinating introduction to researching the Great War as a whole. Simon Fowler outlines the course of the fighting around the city and he introduces the most important historical resources that you can use to explore the history for yourself. The book identifies the key sources for family historians, including at The National Archives and the Imperial War Museum, together with the many resources online that researchers can turn to. There is also advice on the literature, archives, museums and monuments that may help you to gain an insight into your ancestor's story. This is a thoroughly well researched and comprehensive book. It gives the family historian a myriad of ideas and leads to pursue. It is also extremely easy to read. Even for those well-informed historians, this book is worth taking a look at. Simon Fowler, an expert in the field himself, appears to leave no stone unturned in helping one pursue one's own research or that of a particular regiment or genre. This is not just for researchers of Ypres and its environs - it is a useful tool for general Great War researchers. 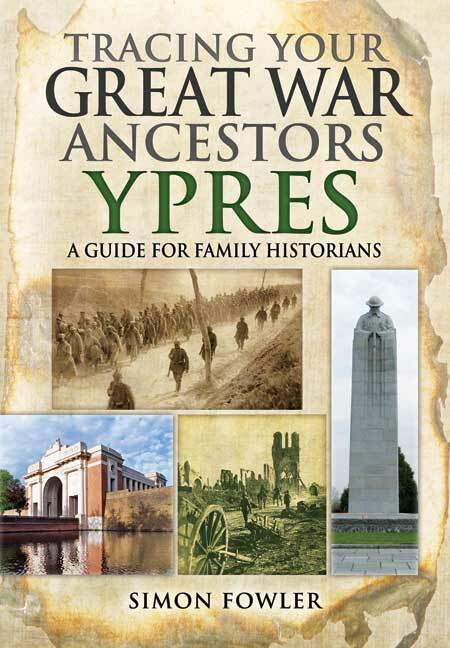 Part of the popular Tracing Your Ancestors series, these practical and informative handbooks are ideal guides for those whose ancestors served at Ypres in WWI.